Internet Information Services (IIS, formerly Internet Information Server) is an extensible web server created by Microsoft for use with the Windows NT family. The main component of IIS is a web server that allows you to host sites on the Internet. In this section, it is possible to activate / deactivate the data collection function from the specified IIS servers by which the collection service “ST_IIS_LogReader” receives and processes the information. 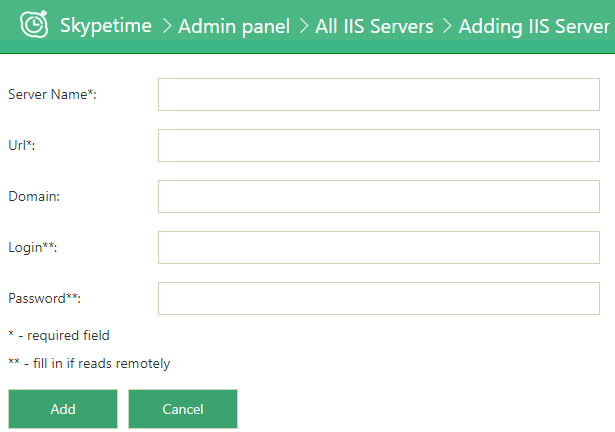 You can also edit already added IIS servers and add new ones.